Ethics watchdogs are applauding gubernatorial candidate Greg Abbott for proposing what would amount to a sea change in Texas ethics laws. Attorney General Greg Abbott is promising to take an ambitious stab at reforming ethics in the notoriously loose Texas Legislature, where lawmakers routinely write or vote on bills that impact their private business interests and the public is often the last to know about it. The proposal by the front-running candidate for Texas governor, released earlier this week, would put enforcement teeth into weak conflict-of-interest rules. It would even give citizens standing to sue when lawmakers blur ethical lines by failing to disclose potentially lucrative deals that intersect with their public roles or when they vote on bills that impact their personal bottom line. “They are supposed to be working for you, not their own bank accounts,” Abbott said in a speech outlining his proposals. Getting such initiatives through the Legislature, historically leery of ethics reform, wouldn’t be easy. And the proposal wouldn’t do anything to require disclosure of so-called dark money given to politically active nonprofits. Ethics watchdogs are still applauding Abbott for proposing what would amount to a sea change in ethics laws by introducing brand-new criminal penalties for self-dealing and putting far more sunlight into disclosure laws. His proposal would also require more robust and quicker reporting of campaign donations. The proposal has already added an element of confrontation into the governor’s race: It takes dead aim at Abbott’s expected Democratic opponent, state Sen. Wendy Davis of Fort Worth, who has been criticized for doing legal work for governmental or quasi-governmental agencies, including the North Texas Tollway Authority, the DFW Airport Board and the Fort Worth Independent School district, all of which have interests before the Legislature. Davis has so far declined to release a list of public-sector clients for whom she has provided legal services. She told The Texas Tribune before she announced for governor that she would put her law practice on hold if she got into the race, and would release as much information about her public-sector clients as the legal agreements with them would allow. On Wednesday, her campaign cited a bill she authored — and that was sponsored in the Texas House by Rep. Giovanni Capriglione, R-Southlake, who made ethics his signature issue in the 2013 session. Davis’s campaign said the legislation would have accomplished a significant piece of what Abbott is now proposing. The bill, which did not pass, was designed to make lawmakers with public-sector contracts disclose them. She said at the time the measure would have applied to her own law firm. Abbott’s ethics proposals go far beyond Davis’ situation or any single set of circumstances or conduct, though. Under the proposed reforms, many lawmakers of both major parties could face additional disclosure requirements and possibly be forced to step aside from voting on certain issues. Had the reforms been included in the last big ethics overhaul in the 1990s, for example, it could have impacted, among others, Sen. John Carona, R-Dallas, founder and CEO of the largest homeowners association management company in America and author of a sweeping 2001 HOA bill; Sen. Royce West, D-Dallas, who does legal work for Dallas County and the Dallas Independent School District; and Rep. Gary Elkins, R-Houston, a payday lender who has been upfront about promoting legislation favorable to his personal interests. The reform proposal is already making some waves in the three-way GOP race for attorney general. One of the candidates, Sen. Ken Paxton, R-McKinney, has reported a financial interest in a company, known publicly as WatchGuard Video, that contracts with the state, including the Texas Department of Public Safety, for patrol car video cameras. According to records posted online by the state comptroller’s office, the company has sold at least $12.8 million worth of equipment to state agencies since 2006. Records show Paxton did not report his investment in the company in 2008 as required under disclosure rules pertaining to lawmakers’ financial holdings, but he blamed a technical error during filing to the Ethics Commission. The investment had appeared on earlier reports, and Paxton corrected his personal financial statement after the lapse was brought to his attention. Paxton was asked at the time if he would support a requirement that lawmakers publicly reveal any financial interest or investments in entities that do business with the state — similar to reforms Abbott is backing now. On Wednesday, the campaigns of Paxton’s two rivals, Rep. Dan Branch, R-Dallas, and Railroad Commissioner Barry Smitherman, criticized the Dallas-area senator for saying he opposed such disclosures. They candidates said they supported Abbott’s new ethics package. 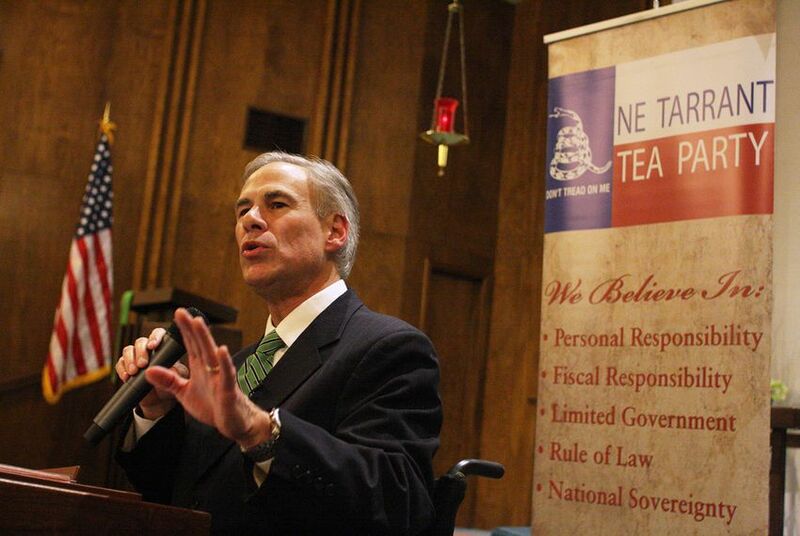 “I applaud General Abbott’s proposal for ethics reform and I share his commitment to open and transparent government. Why would an elected official object to disclosing whether he is a principal investor in businesses holding state contracts?” Branch said in a written statement. Smitherman’s campaign manager, Jared Craighead, called Paxton’s initial failure to disclose his investment in 2008 a “serious ethical violation” and said Abbott’s proposal would go a long way toward eliminating the perception that corruption is rampant in Austin. Paxton said he favors "full disclosure and transparency" but expressed concerns that in some cases lawmakers would not be aware of government contracts held by companies within their investment portfolios, including big companies such as Dell or Exxon. Abbott's proposal does not spell out exactly what level of investment would trigger the disclosure provision. "I disclosed it. I was happy to do it," Paxton said. "I'm all about disclosing what you own." The term “public entity” would include any entity that has public taxing or bonding authority, including cities, counties, municipal utility districts and the like, the Abbott campaign said. The proposal would also prohibit lawmakers from voting on bills from which they might benefit. Though such a recusal provision exists in current law, it’s riddled with loopholes, has no enforcement mechanism and generally has no effect on legislative affairs. Under Abbott’s plan, the recusal statute would be amended to include legislative action involving “any pecuniary gain through employment, contracts, subcontracts, contingency fees, referral fees, or agreements.” It would require lawmakers to file notice in their respective chambers before introducing or sponsoring a bill that runs afoul of the proposed conflict of interest provision. It also would apply the notice requirements when lawmakers file bills that their spouses or close relatives have been paid to lobby for or against. Besides allowing citizens to sue and potentially recover damages when lawmakers violate the recusal and notification requirements, the reform would make violating the new ethics provisions a Class A misdemeanor and give the Travis County district attorney power to prosecute the crimes. Democratic ethics lawyer Buck Wood, who helped write the landmark 1973 ethics overhaul drafted in the wake of the Sharpstown stock scandal, said the citizen lawsuit provision might run afoul of constitutional provisions that generally make legislators immune from lawsuits that arise from their official duties. But putting serious criminal penalties in the law would encourage compliance, he said. Abbott proposed an outright ban on referral fees by lawyer-legislators, arrangements that allow public servants to cash in on the “access and prestige” of their office, his campaign said. He also would prohibit school districts from using tax dollars to hire registered lobbyist to try to influence how tax dollars are spent on schools. In the arena of campaign finance, Abbott would bring state requirements more in line with what federal candidates face. In Texas, campaigns have to file records of their donations and expenditures twice a year, plus additional reports close to elections. Abbott would require quarterly reporting and would prohibit campaigns from spending any donation exceeding $5,000 that was received within 30 days of an election from a single entity or person unless it first was disclosed online. The proposals don’t include everything on the watchdogs’ wish list. One thing that’s missing: any mention of requiring disclosure of the kind of double-dipping arrangement that allowed Gov. Rick Perry to increase his take-home pay with pension benefits of more than $90,000 a year without ever having to retire. Perry had to disclose the income when he was running for president in 2011, but the state doesn’t require it, and the Legislature passed up several opportunities to add pension income to the disclosure forms. There’s also nothing in the proposal about the growing influence of dark money in state campaigns. Perry, at the urging of influential conservative groups, vetoed legislation that would have required disclosure of donors to the politically active nonprofits, which are organized under 501(c)(4) of the property tax code.